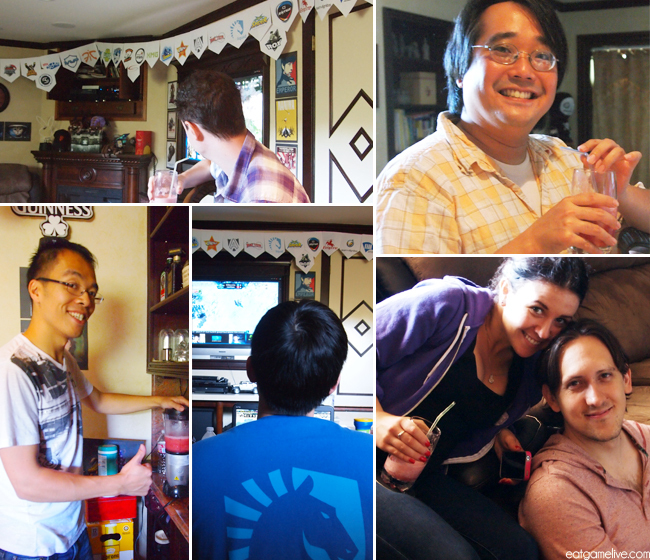 Over the weekend, I attended a BarCraft event at my friend’s home. We’ve had BarCraft events here before (with the occasional karaoke involved), but none of this caliber. Blizzard, being the awesome folks that they are, sent Ray some StarCraft swag to help with the festivities. PRESENTS!! 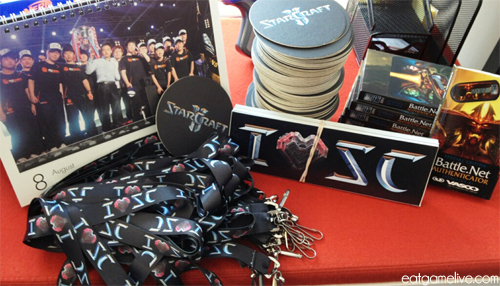 A GSL calendar, TONS of coasters, authenticators, stickers, and lanyards! 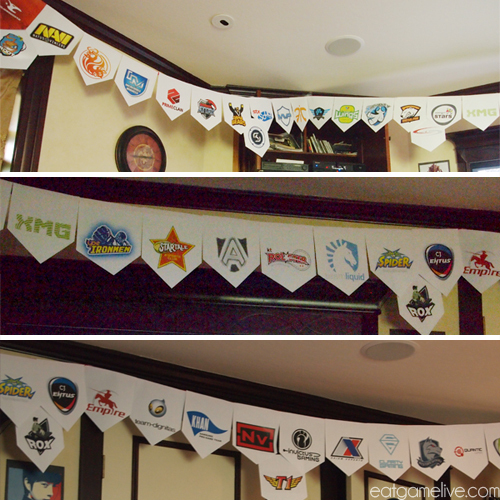 To prepare his bar for eSports, Ray put decorations honoring all of the international StarCraft teams. 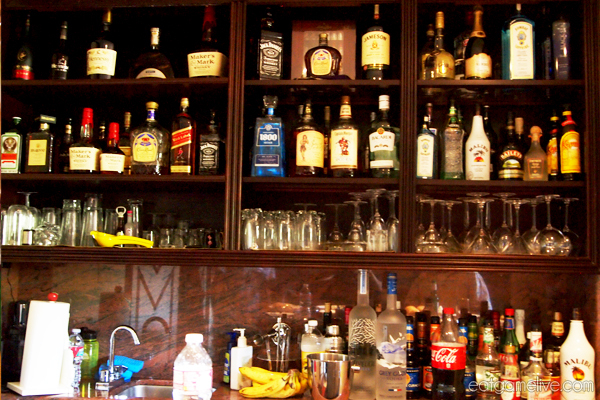 No shortage of refreshments here. 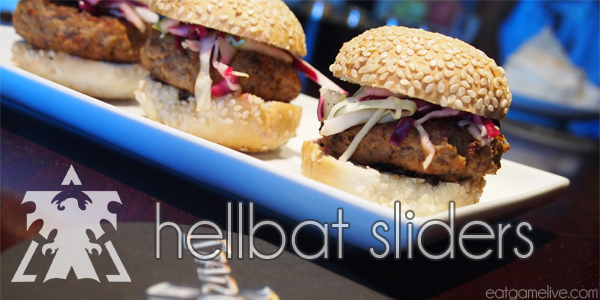 For Terran, I’ve created the Hellbat Sliders, turkey sliders with a spicy BBQ base and apple coleslaw. These hellbats won’t damage your economy. 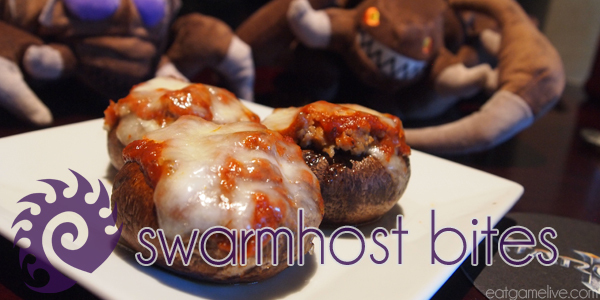 For Zerg, I’ve created Swarm Host Bites, stuffed mushrooms with mozzarella cheese and Italian sausage. Warning, unlike in-game swarm hosts, these swarm host bites cause major splash damage! 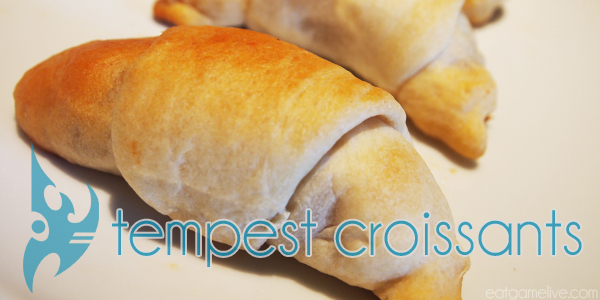 Finally, for Protoss, I’ve created Tempest Croissants, prosciutto, spinach and mozzarella stuffed croissants. Let these croissants siege your taste buds. These recipes are meant to be very simple and I will be taking some shortcuts in order to reduce the prep time and the ingredients list. I recommend making the apple coleslaw and BBQ sauce ahead of time, especially if you plan on traveling to a friend’s house to make these. It will save you a ton of time and it’ll be easier for you to bring a container full of cole slaw or sauce instead of bringing each individual ingredient. Prep time for this will take about 20 minutes. Cook time is roughly 12 minutes. This makes 4 servings. Thoroughly combine your BBQ sauce ingredients (salt, pepper, liquid smoke, worchershire sauce, chiptole paste, ketchup) in a bowl. Pour your 2/3 BBQ sauce over your ground turkey and stir the sauce through the turkey. Reserve the 1/3 of the BBQ sauce for the burgers. 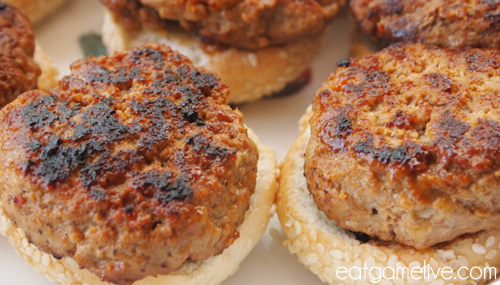 Shape your ground turkey into small patties. You should create about 8 patties. Set a pan on high heat and add your olive oil. When the pan becomes hot, place your patties in the pan. You may have to cook them in separate batches. Cook the patties for about 2 minutes on each side. Remove patties when done. Place chopped apples and both shredded cabbages in a bowl. In a small bowl, combine salt, pepper, vinegar, and sugar. Stir to combine to create the dressing. 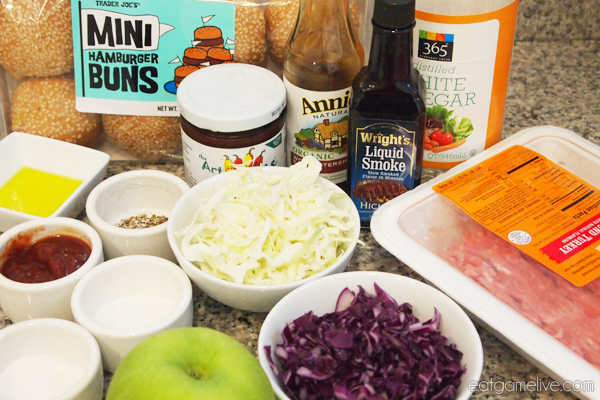 Place 1 patty on each of the burger buns (optional: place 1/2 teaspoon of BBQ sauce over the patty) then top with some of the apple slaw. Prep time for this will take about 10 minutes. Cook time is roughly 15 minutes. This makes 4 servings. Pre-heat an oven to 350° F (~176° C). Add olive oil and heat a pan on high heat. Once the pan comes up to temperature, add in your sausage. Cook the ground sausage for about 6 minutes. Dry the inside of your mushrooms with a paper towel. Season with salt and a little pepper. 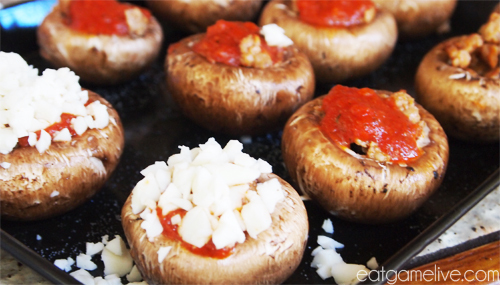 Add in a spoonful of marinara sauce into each mushroom. 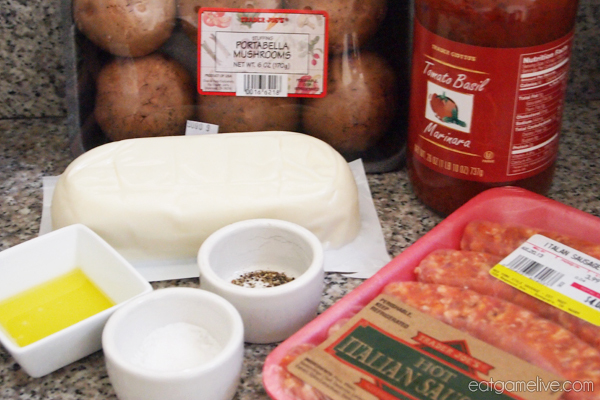 Add in a spoonful of ground sausage to each mushroom and top with shredded mozzarella cheese. Bake in the oven for about 10 minutes or until the cheese has melted. Prep time will be about 20 minutes and cook time is about 18 minutes. This makes 4 servings. Preheat your oven to 350° F (~176° C). 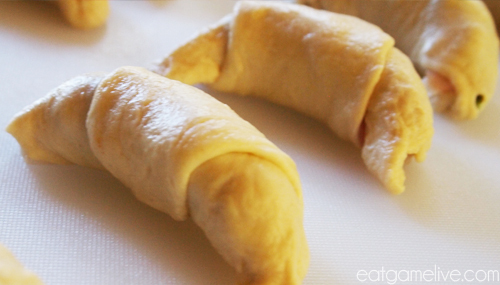 Unravel your croissant dough and separate the triangles. 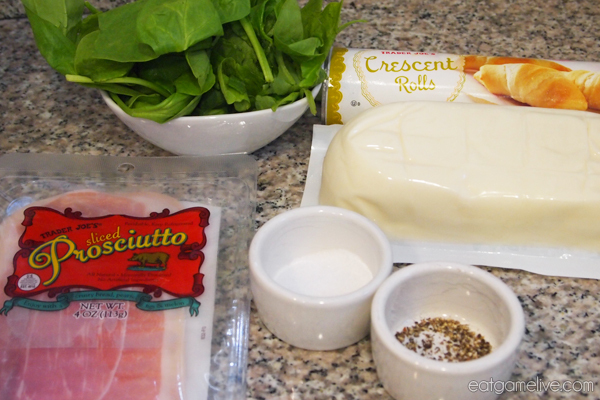 Wrap 1 slice of prosciutto around mozzarella and a 2-3 leaves of spinach. Season with pepper. Place your wrapped prosciutto on the bottom of the triangle (opposite the point). Roll your dough towards the point of the triangle. Pinch the edges of the rolled croissant. Grease a baking dish and place your croissants on the dish. Bake for about 18 minutes or until golden brown. If you have a large enough oven, you should be able to cook the mushrooms and the croissants at the same time. If you’re cooking for a large party, feel free to double or triple the ingredients in order to increase the serving sizes. 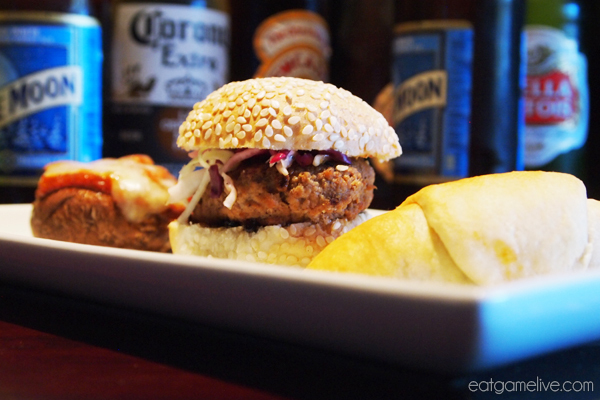 With WCS Season 2 finals coming up (August 23 – 25th) in Cologne, Germany, these BarCraft bites would be a perfect snack if you’re watching the action from home! It wouldn’t be a BarCraft without some sort of alcohol! Since it’s summer, we decided to create a very simple and refreshing drink — all you need is 3 ingredients: watermelon, ice, and coconut rum. 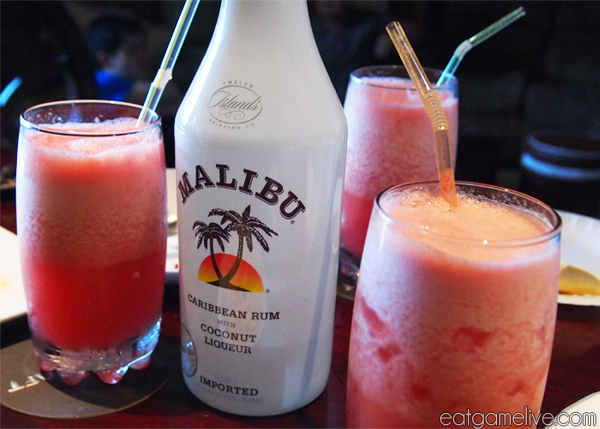 Just throw 1 cup of crushed ice, 1 cup of watermelon, and 2 (or more…) shots of coconut rum into a blender and blend. This simple slush is great alcohol-free as well! I had a lot of fun watching the WCS America finals — the games were very entertaining Even some of my friends who don’t particularly follow StarCraft were chanting for their new found favorite players! Great StarCraft games, great food, and great friends. 😀 That’s how you hold a BarCraft. GG! This entry was posted in sandwich, starcraft, Uncategorized by admin. Bookmark the permalink. That sounds awesome and the food/drink looks great! l’ve never watched or played a game of StarCraft before.